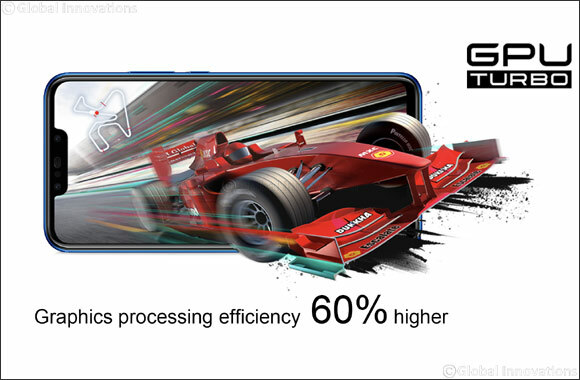 Dubai, 8th August, 2018: Huawei Consumer Business Group (CBG), announced the release of GPU Turbo upgrade in the UAE, a graphics processing technology built from the ground up, that will revamp the ability of Huawei smartphones to process graphics-intensive applications like games. Huawei CBG continues to showcase its commitment to innovation and customer service by combining the EMUI and GPU turbo update, which will allow users to enjoy much-improved gaming performances without having to upgrade their devices, making it a one step for the all Huawei users in the UAE. The unveiling of GPU Turbo comes at a critical juncture, especially as mobile gaming is on a sharp rise globally. In 2017, gaming spend on mobile devices was more than two times greater than on PCs and almost four times more than traditional game consoles, according to IDC . The mobile gaming segment represents US$46.1 billion worldwide, encompassing 42 per cent of the total US$108.9 billion market for gaming revenues in 2017, reported Newzoo , a market intelligence organization for the gaming, mobile and eSports industries. The figure for mobile shows a 19 percent gain compared to the prior year. In fact, a recent survey conducted by AdColony EMEA in partnership with On Device Research, suggested that nearly 90 per cent of the smartphone owners in the UAE are active mobile gamers. Huawei has taken inspiration from a car’s turbocharger to develop this upgrade that is set to offer an explosive performance boost. GPU Turbo is a graphics processing acceleration technology that completely re-architects how graphics are processed on a system level. This solution vastly improves the overall graphics processing efficiency, from quality, to performance, to power consumption. This update exemplifies how Huawei addresses customer pain points through innovation. The improvement will be felt widely when playing graphically intense games. GPU Turbo will initially support PUBG MOBILE and Mobile Legends: Bang Bang, two leading MOBA (multiplayer online battle arena) titles, each with millions of active users. Huawei is looking to add support for additional games in due course. In addition to mobile gaming, GPU Turbo will deliver an optimised EMUI experience for Huawei devices. The performance boost will also benefit nascent technologies such as AR and VR, opening up boundless opportunities including for virtual classroom, online shopping, telemedicine and more. This makes GPU Turbo upgrade a smartphone must and HUAWEI devices a must have smartphone for every mobile gamer.